I came across these interesting articles this week – this is part one of a five part series – the most important years in Goth music (via “Rocks Off” of the Houston Press). Like any good structure, goth is built on the foundations of other previous cultures. You can walk back through David Bowie, Alice Cooper, Screamin’ Jay Hawkins, and all the way to Chopin looking for the source, but what we really know as goth rock began in 1979. It was the beginning of a golden age where a subset of punks steered things in a more dramatic, elegant route. It was the year that one of the most influential band managers in England, Tony Wilson, coined “goth” as it relates to music. The act he was talking about was his own Joy Division, which remains one of the most influential bands in the goth sound, although some would argue that they are more accurately classified as post-punk. Unknown Pleasures isn’t as groundbreaking as 1980’s Closer, released posthumously after the suicide of Ian Curtis, but the 1979 debut still set the stage for the world of dark fantasy that goth would begin to usher in. It was a critical success, if not a major financial one, and remains a staple in the essential goth catalog. Wilson would describe Joy Division’s performances as gothic and theatrical before shows and in interviews, especially in comparison to other mainstream acts of the time. Eventually, the term spread out to encompass bands like The Cure and Siouxsie and the Banshees. Another band that was quickly branded as gothic was Bauhaus. Peter Murphy, The Haskin Brothers, and Daniel Ash had only been together for six weeks when they went into a studio to record a five-song demo. Murphy had never written lyrics or music before in his life. To top it all off, one of the songs was a nine-minute monstrosity done in a single take full of instrumental noise and dedicated to an old movie actor. How did that come off? It absolutely killed. In August 1979, “Bela Lugosi’s Dead” started a run on the independent British music charts that lasted two years, though it did not chart on the mainstream. Everything about the single cemented the basic template of the coming goth music scene, even down to the album cover’s homage to classic horror films. 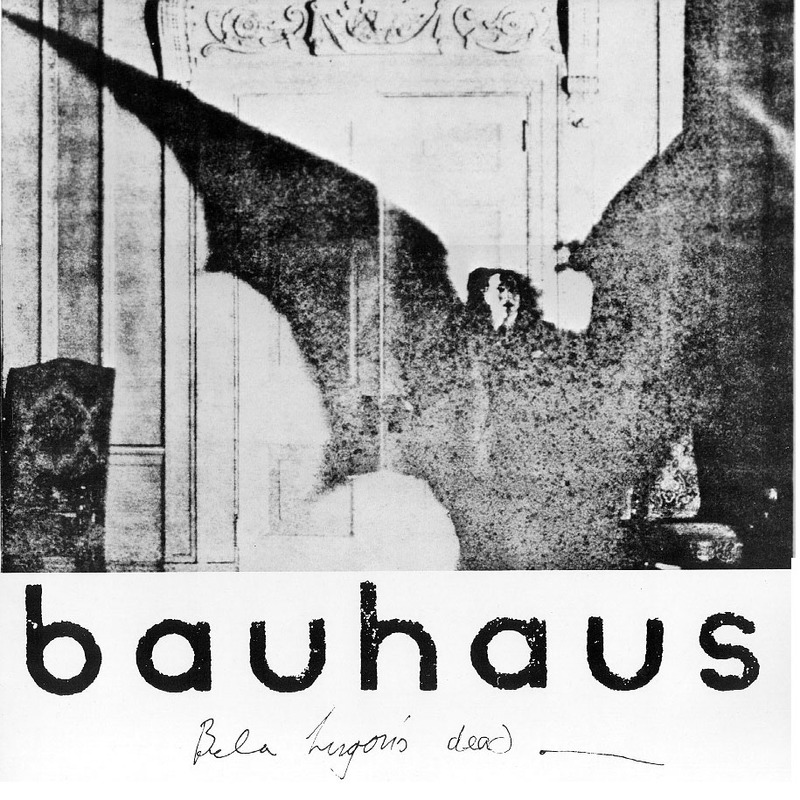 It was almost immediately established as a vampire anthem, appearing four years later in The Hunger where Bauhaus also had a small cameo part. In terms of goth music, the thing that sets 1979 apart the most is that the year marks the the last time goth was the “coming thing.” It has had plenty of periods of almost complete mainstream appeal, and lots more when the genre has hunkered down in obscurity, but as Bauhaus and Joy Divison began opening up doors for other acts, those two groups were themselves disintegrating. After Curtis’ death, Joy Division became New Order, with a distinctly different sound, and Bauhaus only lasted until 1983 until the members went their separate ways. That was all still in the future. In 1979 the energy was still young and completely raw. It was goth’s childhood, and like childhood, it was soon over. via The 5 Most Important Years In Goth Music: 1979 – Houston – Music – Rocks Off.